Craig has 7 years experience in events and digital marketing. In 2011, Craig joined ID&C as marketing manager and has enjoyed being part of the companies international growth and online success. In 2013, Disney’s MagicBand revolutionized the theme park and resort industry. Estimated to have cost over $1bn the wristbands formed part of the ‘My Disney Experience’ project which also tied-in the use of a cutting-edge mobile app to help guests plan and manage their trips. Five years on, we look back at how Disney’s MagicBand has been used to deepen relationships with customers. 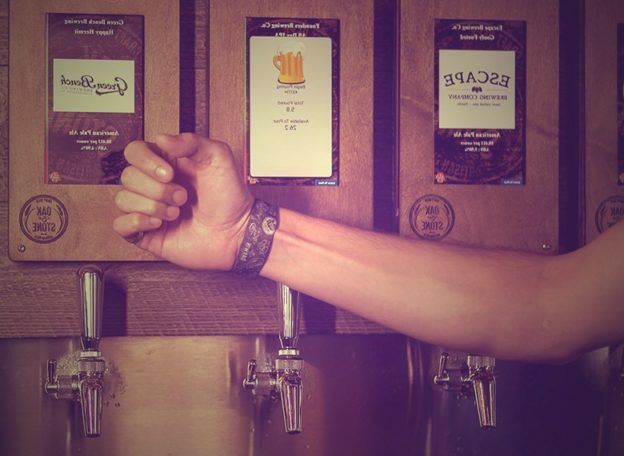 And, how an intelligent RFID wristband helps create lasting experiences and drive new revenues. Here are 10 things we think other resorts and theme parks can learn from Disney’s MagicBand. Disney’s MagicBand is a custom wristband that acts as the central nervous system of the MyMagic+ experience. Together, the MagicBand and Disney mobile app provide ways for the Park’s integrated systems to offer various enhancements for its guests. Disney could have introduced an off-the-shelf product that functioned the same as the MagicBand and would have probably cost a whole lot less. (For the record, we have no idea what Disney’s MagicBands cost, but we know enough to know they’re probably not cheap). But that’s not the Disney way. They saw the MagicBand as an opportunity to create something unique. Something that guests could completely customize with their favorite colors and even their favorite Disney characters. 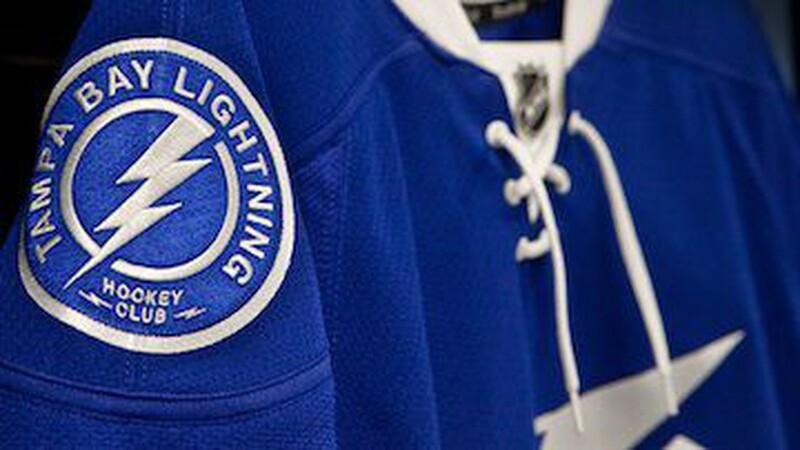 A series of special editions would soon follow, giving park goers the chance to have something others didn’t. Put simply, MagicBands are cool. And, the fact they’re tied to your wrist for the duration of your stay, gives you a weird sense of belonging that’s actually kind of nice. The MagicBand’s various customization options allowed Disney to monetize their new venture from day one. Each year they introduce new designs, hundreds of limited editions and have an enormous range of ‘MagicBandits’- little rubber push-in tags that clip around the spare holes in your MagicBand strap. In early 2017 they introduced the MagicBand 2, with even more customizable options. The new version of the band, which is still in use, has a center disc called the ‘icon’ that can be ‘easily’ removed with one of those tiny screwdrivers. This part of the MagicBand contains the RFID tag and can be switched between different style straps – while keeping all of the important data in one place. There’s even the option to turn it into a keychain. Perfect for those who insist they’re too cool to wear a wristband. The photos are heavily water-marked, but the point is that Disney has enabled its park attendees to make the decision about purchasing photos after they’ve visited the park. There’s less pressure on guests to commit to spending and less friction in the experience. For families, this is a welcome convenience. No holding onto a wedge of paper tickets and scrambling at the gate to figure out who’s is who’s. For park operators, mixing the security of RFID with biometrics makes it practically impossible to gain invalid entry. Keeping Disney’s bottom line healthy and keeping out unwanted guests. Unless residing in one of Disney’s on-site hotels, annual pass holders still have to carry a Disney RFID card to validate complimentary parking. What the park could do, is have guests wear their wristbands as they approach the parking lot pay stations, and simply reach out to scan their wristbands for validated parking. No one likes to waste time queuing, especially at theme parks. And Disney was able to manage this with the addition of fast passes. By introducing this free cut-the-line service, Fastpass+ allows guests to choose up to three-time slots for attractions each day where they’ll only have to queue for a short time. The fast passes are linked to the MagicBand and validated by tapping against one of the Mickey Mouse-themed RFID readers situated at the ride’s entrance. But how do the Disney hotel staff know which room to leave the luggage in? You guessed it, the MagicBand. Guests opting for the ‘Magical Express’ luggage transfer service are asked to pack their MagicBands in their checked luggage. Upon arrival at the hotel, the guest’s bags are scanned to validate guests names, reservations, and hotel rooms. Hey, presto! Luggage safely delivered to the guests’ hotel room. Now that’s the definition of hassle-free service. Guests become detached from the physical representation of holding their money and handing it over to pay for something. It’s convenient and secure for guests. It’s profit-making for park operators. The MagicBand is used by guests to navigate around the park. It’s used to book restaurants, hotel reservations, check queue times, and book FastPasses. But what’s neat is that Disney’s MagicBand keeps guests connected with the rest of the Disney ecosystem. The bands utilize the Disney app, which itself is connected to the Disney website, where visitors are connected to pretty much every part of the Disney empire. 5 year’s ago Disney’s MagicBand re-shaped the theme park experience. Delivering convenience on multiple levels, and performing as a marketing and revenue tool for the Disney Corp, this wristband has achieved a lot. But even Disney didn’t get it perfect. 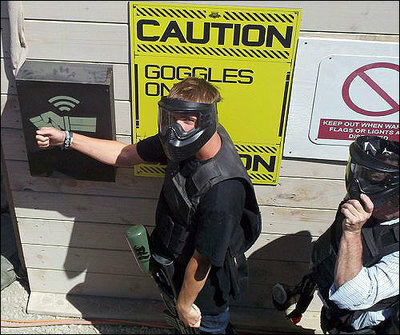 Its biggest rival Universal Studios recently took the wristband convenience to another level. 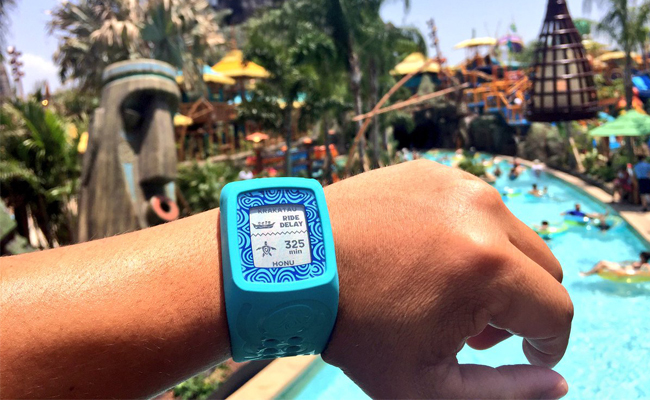 The TapuTapu wristband at the newly-opened water park Volcano Bay, allows guests to book time-slots for rides, completely eliminating the need to queue altogether. This entry was posted in Ideas, RFID on March 17, 2018 by idandc. ID&C Have Been Nominated for a TAG Award! We are delighted to have been nominated for the Family Run Business Silver Award category at this year’s Transatlantic Growth Awards! ID&C has achieved recognition by BritishAmerican Business and as a result we have been shortlisted for one of their prestigious awards. After opening our Florida office in January 2016, we have experienced rapid growth across the Atlantic, recently investing in a new 15,000 square foot facility to expand our US operations and accommodate our ever growing team of talented staff! 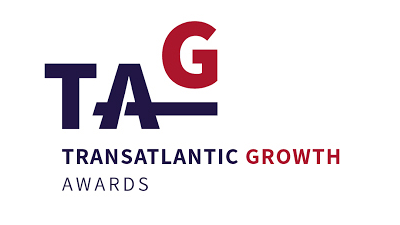 The TAG Awards celebrate successful SMEs (small and medium-sized enterprises) growing their transatlantic businesses, the ceremony will take place on Thursday 15th March in London. To find out more about the TAG awards, visit their website here. Best of luck to all the small-medium enterprises that have been nominated for an award! We’ll see you at the ceremony! This entry was posted in Awards, News on March 12, 2018 by idandc. Guest blog by Natasha Hiller, Chief Operations Officer at Marcato. So, you’ve taken the plunge and decided to integrate RFID at your next event. Now you can sit back and let the technology do the work. You’re life just got easier, and you’re about to make a ton of cash, with no effort at all, right? 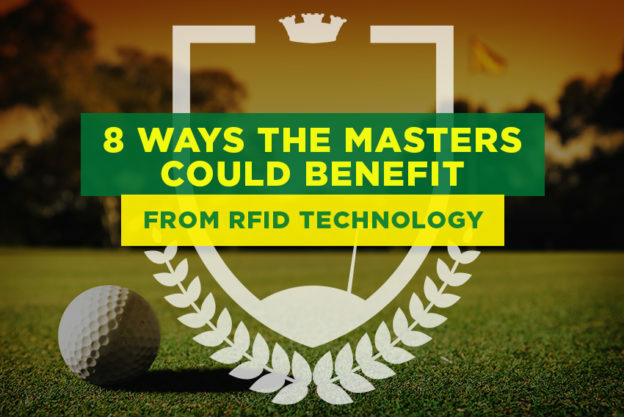 While RFID technology has the ability to deliver a bounty of benefits to event organisers, like anything in life worth having, it doesn’t come easy. 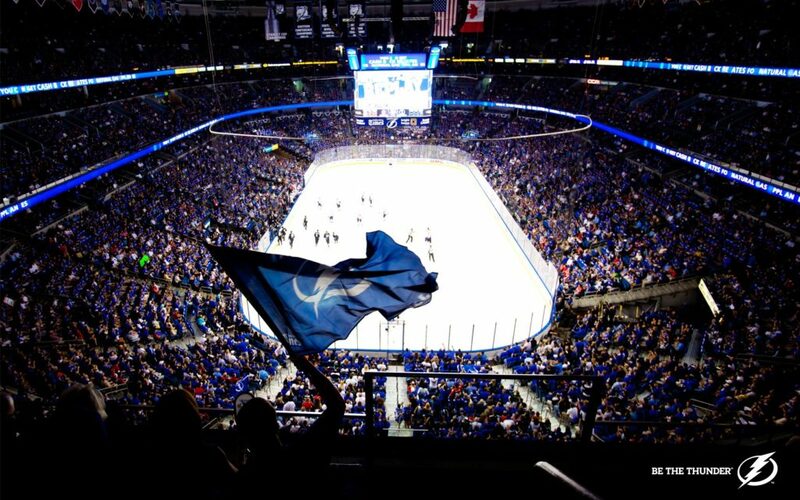 Your work has only just begun. You now need to ensure that each person showing up at your event has an RFID wristband waiting in their name, pre-set with the correct access. Often this process is managed by back and forth emails between people requesting credentials and the event organizers. This method is chaotic as emails can be easily forgotten and the threads can go on forever, making it impossible to track who should get what. You want to find a system that enables you and your whole team to easily see a list of everyone who is requesting credentials. And, you need to be able to make edits in real time. There are really only two options for doing this. By using an Excel file stored in Google Drive, it enables your whole team to see the full list of people requesting each credential. If managed and organized properly, you should also be able to calculate inventory levels, etc. This solution seems cheap and easy enough to manage but there are a few shortcomings. Once you have confirmed your list of guests receiving credentials, letting them know is a manual and tedious process. It can also be cumbersome to get this data into the RFID system to begin issuing credentials at will call. Usually, this is done through a one time import and then you need to move over to manually entering things directly into the RFID system moving forward. Switching the method of entering this data right around show time can cause confusion and lead to mistakes or people being forgotten. Although this method isn’t free, the money you can save by implementing a system should more than recoup your cost to purchase it if implemented correctly. What policies are put in place to ensure that no one slides into the guest list who shouldn’t be there? What is the plan to avoid duplicate entries causing incorrect inventory levels? How is the guest list going to get into the system where it will be issued without a lot of manual work? 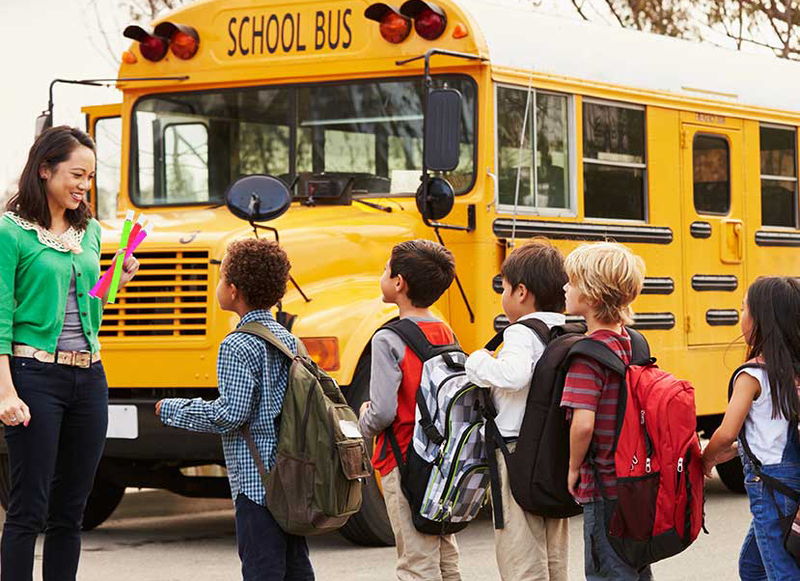 As long as you have a good plan in place for these questions, you are on track to simplifying your credential management system, and a step closer to a smooth RFID integration. This entry was posted in Event Security, Ideas, RFID on February 24, 2018 by idandc. 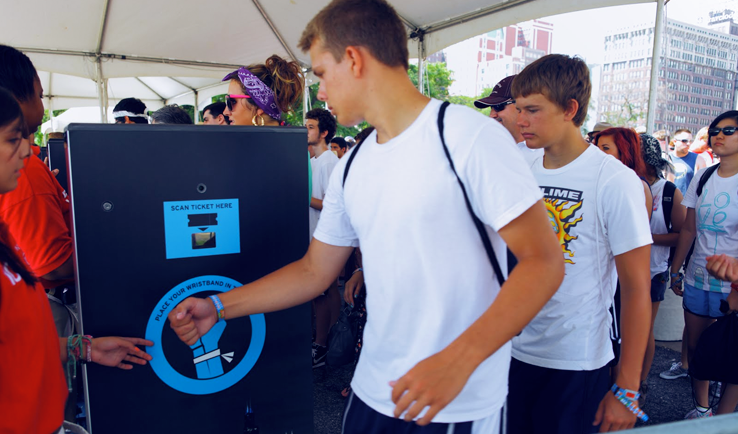 Event organizers want to make sure that nobody can copy their wristbands and get unauthorized access to their event. Why? Because oversubscribed events can be dangerous if safe capacity is exceeded. And, it can result in a bad experience for guests that have paid to attend, which can have a knock-on effect on revenue loss, a revoked license and at worse, the cancellation of your event. OK, so this is a worst-case scenario. But this is why security is so important for events, and one element of a safe and secure event is the event wristbands. When it comes to security features there isn’t a ‘one size fits all’ option. Every event is different and therefore has a different set of requirements. So, with that, here are our 5 most popular security wristband features. What is a wristband lock? A wristband lock is a small clasp (or toggle) that fastens a wristband to its subject’s wrist, preventing its removal. The Barrel Lock: a plastic tube (or barrel) that slides one-way onto a cloth wristband. The lock has 2 layers of plastic teeth which grip the fabric material when pulled back, preventing the lock from sliding in the opposite direction, thus loosening the wristband. The ‘Barrel’ as we wristband folk call it, is by far our most popular security lock. It combines convenience, security, and value for money. It is also our most tried and tested lock, and has gone through numerous iterations, with our latest version touted as ‘the most secure wristband on the market’ by one of our clients.The Barrel Lock is easy to close, even when there are thousands of people waiting at your gate. Also, it doesn’t need any kind of closing tool. The Smartlock: a plastic hinged clasp with a metal pin, designed to pierce a fabric wristband and prevent removal.This lock only works in conjunction with 16mm wide woven fabric wristbands, but when applied is extremely reliable and robust. The Smartlock does not require a tool to apply but is not recommended for audiences of more than 10,000 people, as it can be labor-intensive to close the locks in large quantities. Metal Ring: This is a classic, yet very reliable closure made from aluminum. The aluminum ring is crimped with a tool and when closed, tightly pinches the two ends of the wristbands together. Although this lock requires a tool it is still a favorite among large music events and is known for its reliability. The Loop Lock: a socket and stud lock that loops over a fabric wristband and fastens into a pre-punched hole. Socket & Stud: The kind of lock used on all of our vinyl wristbands. Once secure, it can not be removed without being destroyed. Self-adhesive tab: This is the type of fastener used to secure our Tyvek wristbands and Chroma wristbands. Reusable locks wouldn’t normally make their way onto a list of security features. But, some events actually encourage sharing of wristbands and others simply do not have a requirement for controlled access. UV (ultraviolet) is one of the most commonly asked for security wristband features. What is UV? Ultraviolet is actually a type of radiation produced by the sun or synthetic light sources like sun beds. It might sound scary. But, in the world of print and wristbands, the term UV is a kind of a slang term for something that ‘glows in the dark’. The glow is triggered by a UV light, (sometimes referred to as a black light) that is often found amongst the lighting arrangement in nightclubs and festivals. 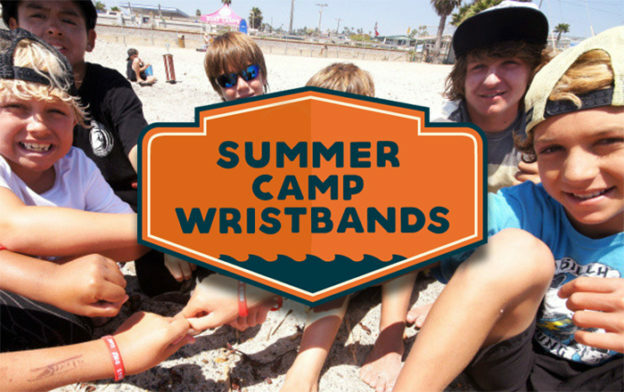 At ID&C, we provide two variations of UV wristbands. 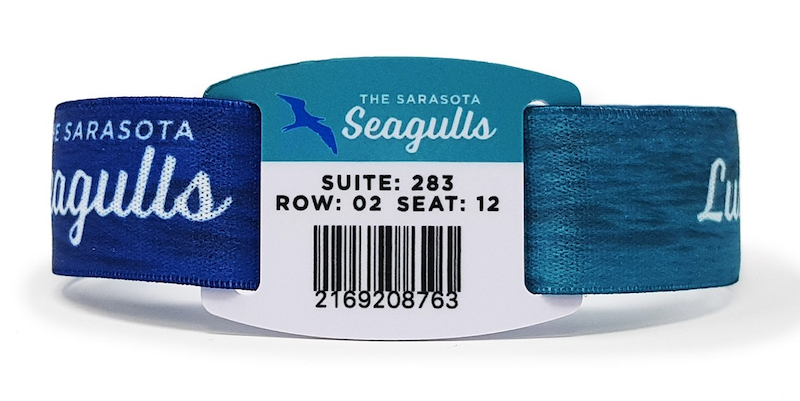 We can weave special UV treated threads into any of our fabric wristbands. This is a great security feature that is very difficult to replicate, especially in a short space of time. 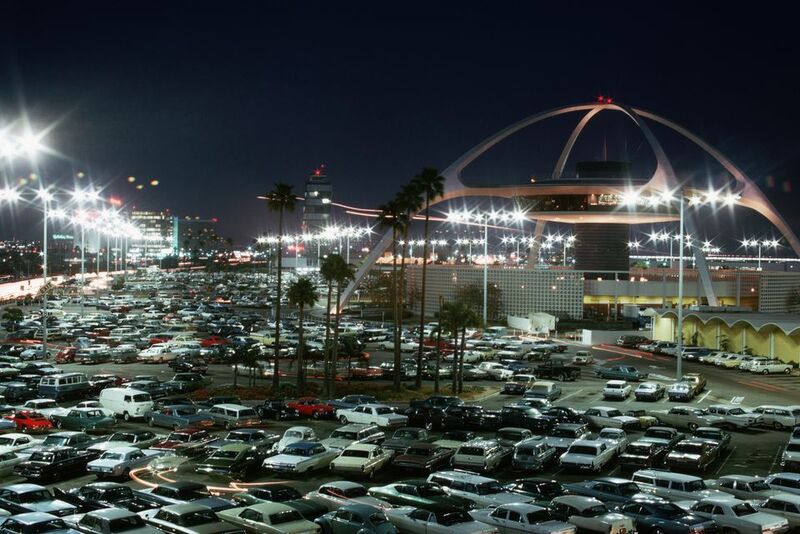 To validate the wristbands as genuine, have your security staff and gate staff carry a small black light. The lights usually fit in a pocket and run for days on a couple of batteries. You can get them on Amazon. We can print UV ink onto vinyl wristbands and Tyvek wristbands. This enables our customers to add security features to their entire accreditation. Printing a security foil or hologram onto a wristband is a great way to increase the security and prevent fake copies. 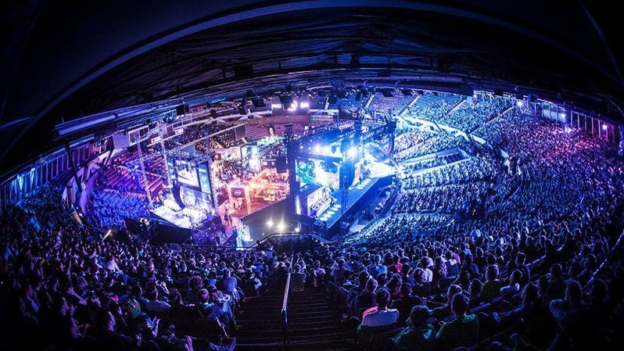 What’s the difference between a foil and a hologram? Put simply, a foil refers to the material used, whereas a hologram refers to the visual effect created. Foils can have a holographic effect though, but holograms are typically made from ultra-thin layers of plastic. Customers can have foils printed onto Tyvek wristbands. Or, they can have custom holographic stickers made for applying to vinyl wristbands. 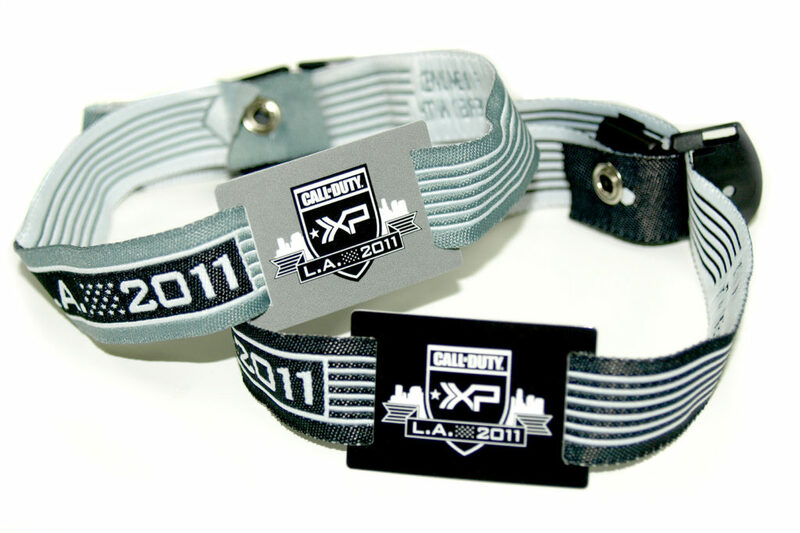 There are also plain metallic wristbands with a holographic effect. Printing a barcode is a basic, yet foolproof method of improving accuracy with access and identification. It is very common these days to see barcodes used on concert tickets. 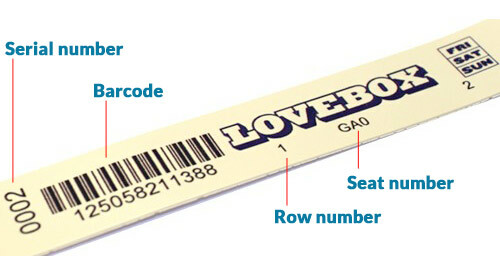 In fact, some ticketing companies only provide digital tickets, which are only validated with a unique barcode. Taking this tried and tested technology, and applying barcodes to wristbands helps an event increase its security as well as its operational efficiencies. For an event wristband, the ‘data’ and ‘object’ would be the ‘ticket details’ and ‘ticket holder’. In 2014, barcode wristbands were used to speed-up arena access for the 50,000 fans at the Isle of Wight Festival. The same technology was also used to link children’s wristbands to the contact details of their parents, in case they got lost. Barcode wristbands can be made in Tyvek, vinyl and cloth materials. 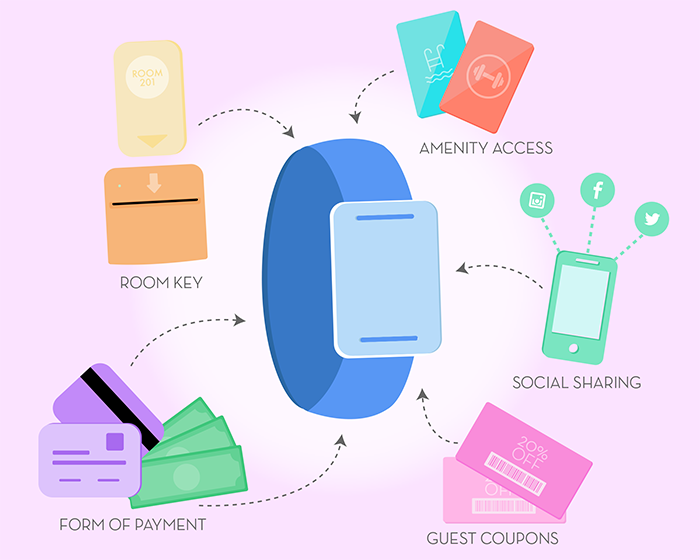 RFID is the latest and most high-tech feature available on a security wristband. 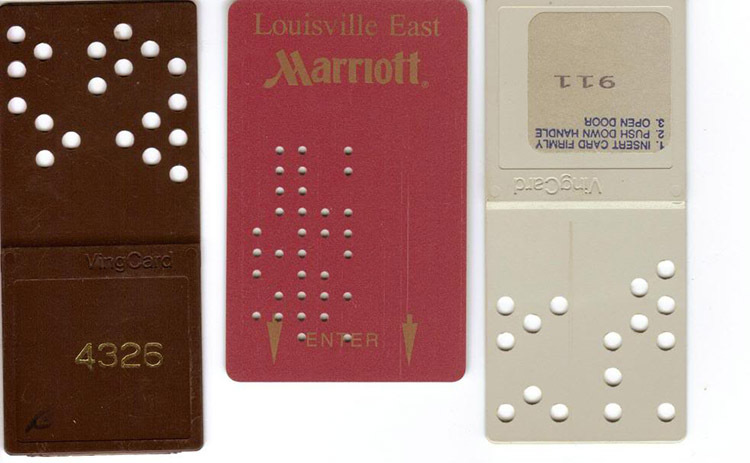 The benefits of RFID technology for events is widely commented on. Eventbrite, a popular event ticketing company, does a great job of describing the benefits of RFID in this blog post. Cashless Payments – With RFID, event attendees have the facility to pay for goods via an RFID wristband that can be pre-loaded with credit and topped-up or connected to a credit card.Food and beverage vendors use small contactless terminals that enable users to tap their RFID wristbands to activate and authenticate a purchase. 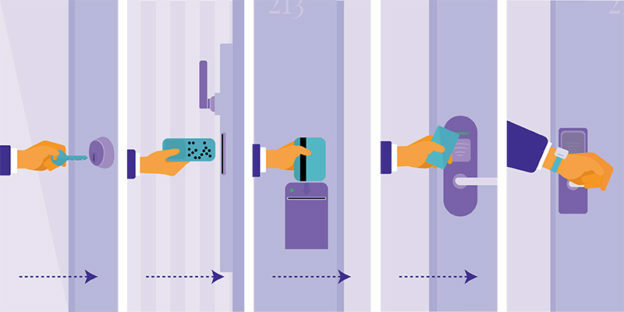 Contactless Access Control – In this scenario, an RFID wristband can be used in place of a traditionally printed concert ticket. Details like ticket type, name and access are stored on a back-end RFID system, and authenticated by tapping a wristband against a scanner. 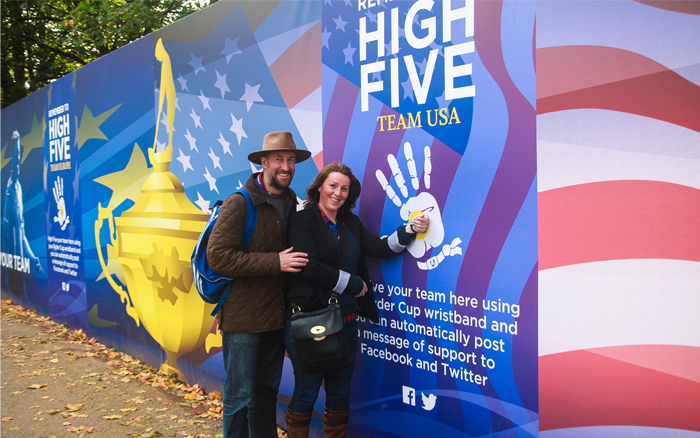 Brand Activation – Using RFID technology, event organizers are able to connect attendee’s social media accounts with their event wristbands. Via digital photo booths fitted with RFID scanners, festival goers can do things like share their experience in real time without having to use their mobile phones. This provides event organizers with the ability to extend the promotion of their event beyond those attending, and in real time. 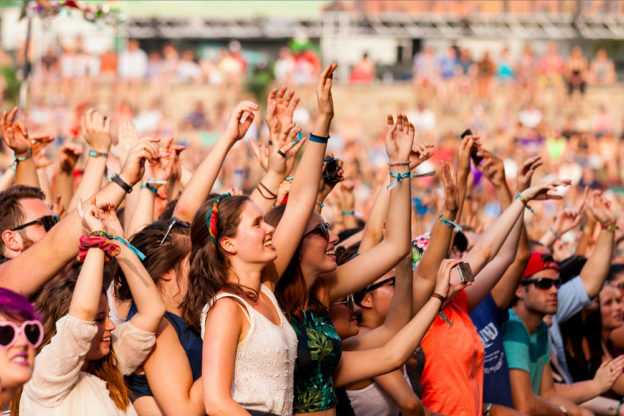 We work with industry-leading RFID companies to help integrate our RFID wristbands technology at any kind of event. RFID technology can be embedded into all of our core wristband types but is most commonly an additional feature of a cloth wristband. 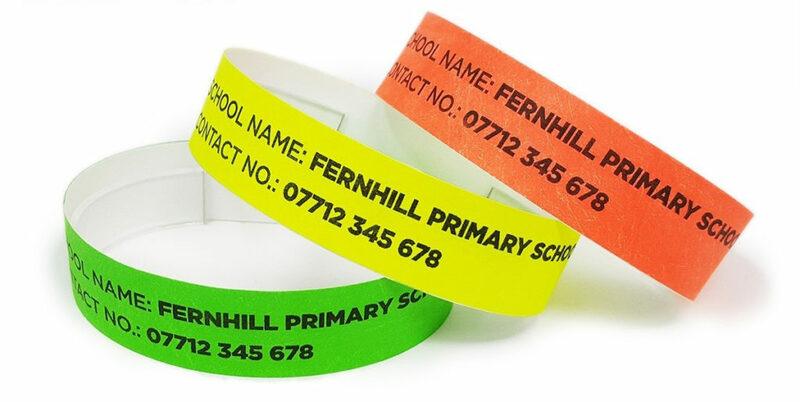 No two events are the same, which is why our customers can choose from a wide range of security wristband features. From UV print to RFID cashless payments, adding more security will improve the operation of your event. Improving the experience for your attendees generally means they are more likely to tell others about how awesome your festival was, or how quick it was to get in. This entry was posted in Event Security, Ideas, RFID on February 1, 2018 by idandc.